If you're interested in a high-power VR headset but so far haven't taken the plunge because of the steep pricing of such a unit, here's a deal for you. The bundle that includes the Oculus Rift VR headset and the Oculus Touch controllers can now be yours for just $399. That's $199 less than the previous price, so you are saving quite a bit if you decide to do the deed. Just keep in mind that this offer is only going to be valid for the next six weeks, after which the price will go back up to $598. 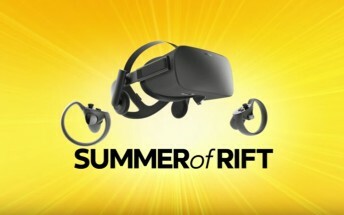 So this may just be the summer during which more people than ever get into the VR game. More than 500 VR titles are already available for the Oculus Rift, with more and more games being added in the coming weeks and months.